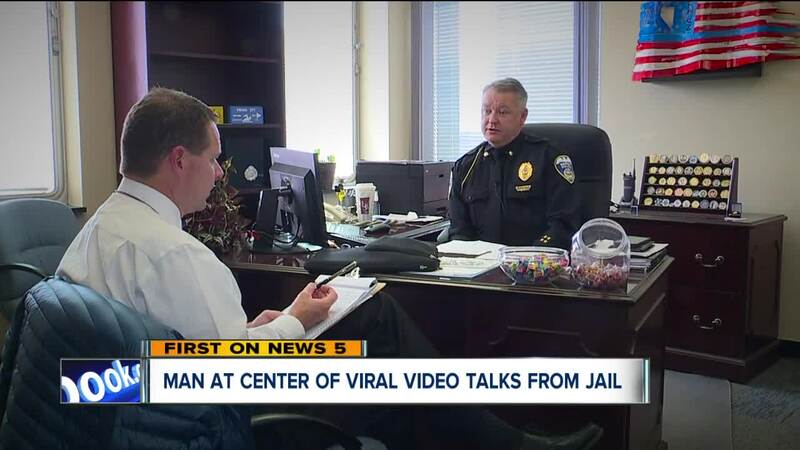 AKRON, Ohio - The Akron Police Department is investigating a viral video that shows officers using a Taser on a man and punching him while he was on the ground during an arrest. The video, captured by a neighbor, shows one officer punching the man multiple times. Warning: The video below includes images and language that some users may find disturbing. Akron police said they saw the man, who they identified as 47-year-old Patrick King, coming out of a known drug house Sunday. They made an investigative stop while he was walking down the street. King gave false information about his identity, an Akron police official said. An officer tried to detain him and got a handcuff on one of his hands. King then resisted by trying to run away, pulling away, tensing up and refusing all verbal commands, the official said. A neighbor, who wished to remain anonymous, captured the incident on video and posted it to Facebook – it’s since been shared over 3,000 times and viewed over 147,000 times. The neighbor felt the officers went too far. "As soon as they put the one handcuff on him, that's when they got to throwing him around and slamming him and beating on him and stuff like that," he said. Akron police said they arrested King and charged him with tampering with evidence, resisting arrest, misrepresenting identity, drug paraphernalia and drug abuse. King also had an active warrant out of Cuyahoga County for a parole violation. Akron police said they have begun a use of force investigation into this incident. Akron officials have not identified the officers who were involved. Deputy Chief Jesse Leeser said King is 6-feet-4 and 220 pounds and the officers were winded trying to get him under control. "Officers used force to include tasing, strikes and pressure points," Leeser said. 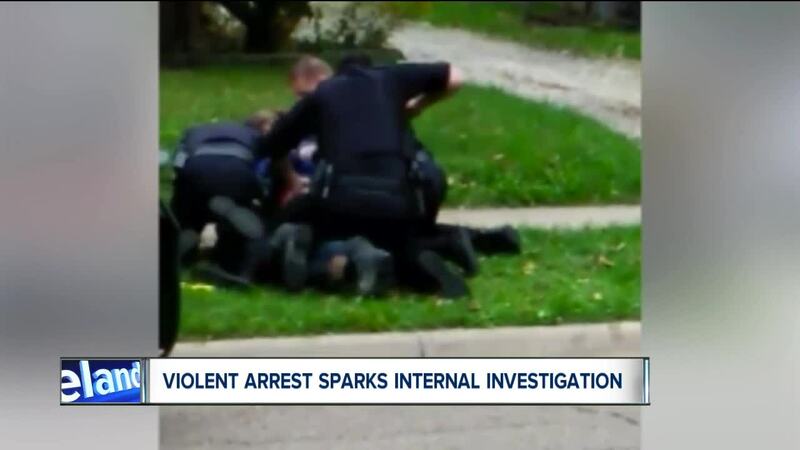 "He was obviously actively fighting with these officers. The fight had gone to the ground. Not only did he have that handcuff as a weapon possibly, but the officers were also exposed. We're not street fighters." Leeser said all of the officers remain on the job.